There's something really cool and almost effortless about this striking billboard for soft drink brand Sprite. 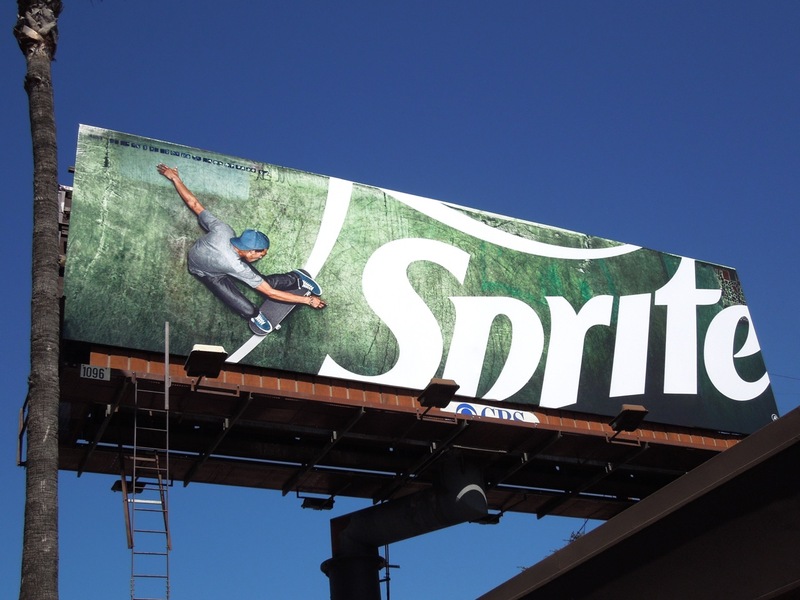 Clearly positioning itself as a hip, youth brand with its skateboarding imagery, it's also a marketers dream ad by sneaking in the logo branding in an inclusive way without having to resort to a less than subtle pack shot of the product. This vibrant soda billboard was snapped along Sunset Boulevard on June 28, 2012. 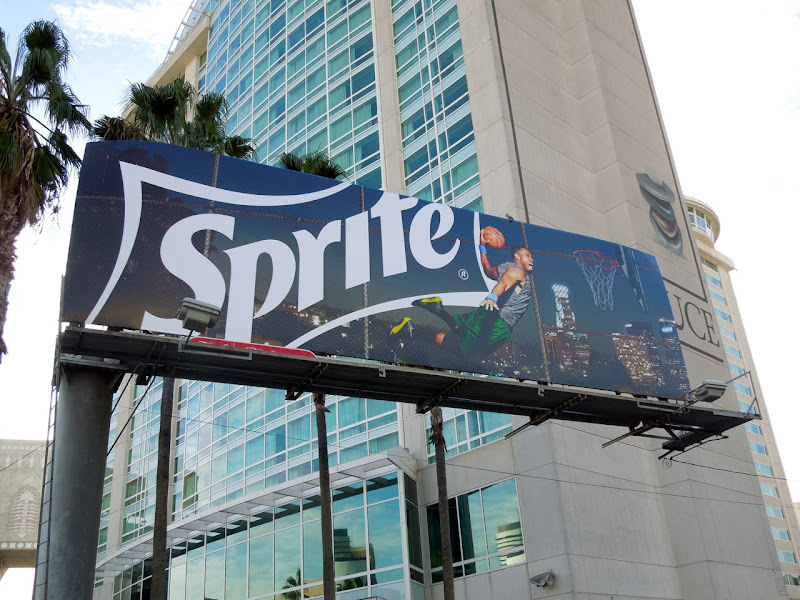 UPDATED: Here's another similarly sporty billboard for Sprite, this time with a basketball theme. 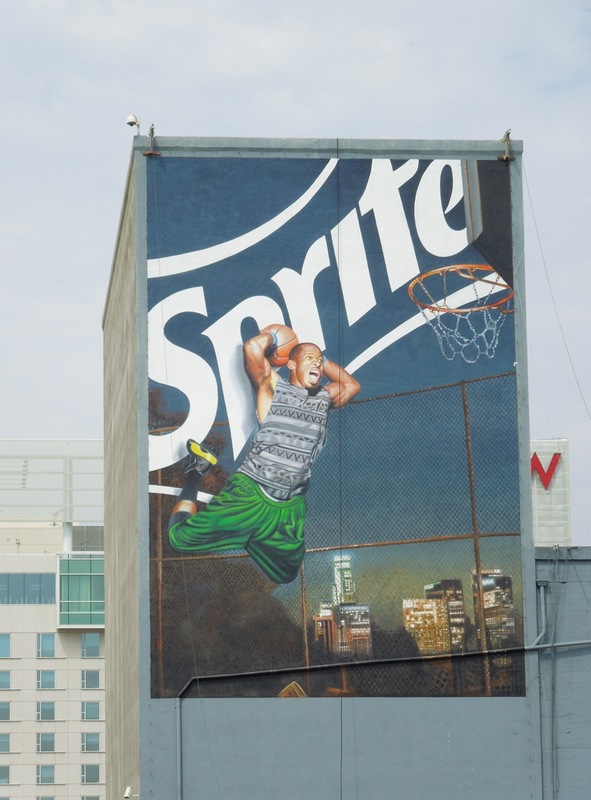 This wall mural was snapped along Gower Street in Hollywood on August 17, 2012. 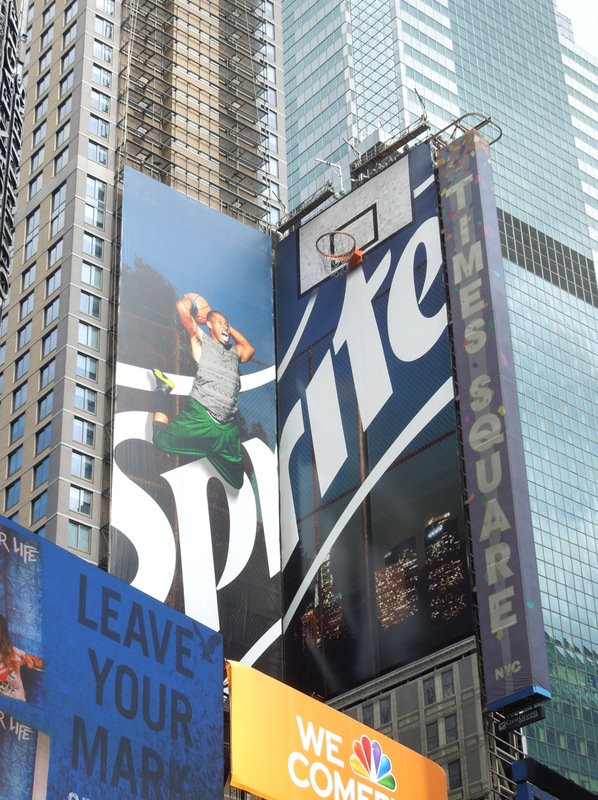 UPDATED: In New York's Times Square this basketball creative is taken to the next level with a fantastic basketball hoop installation. 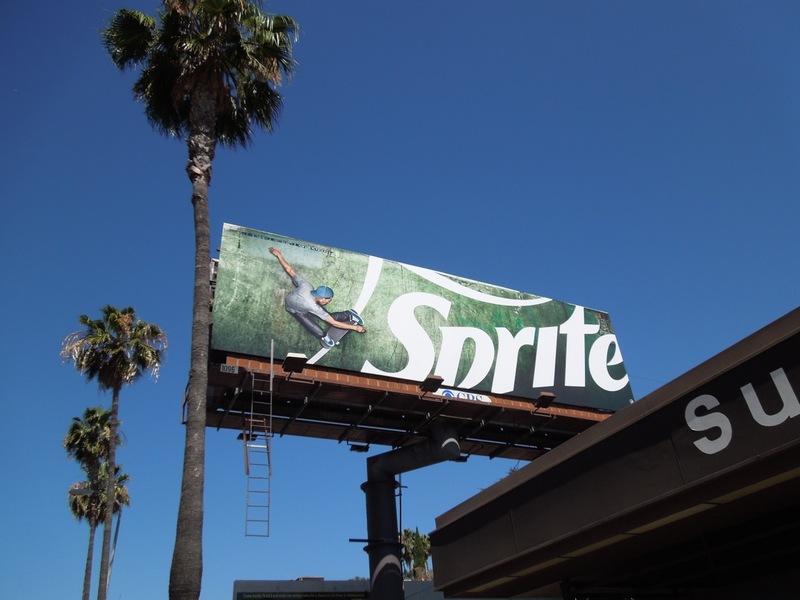 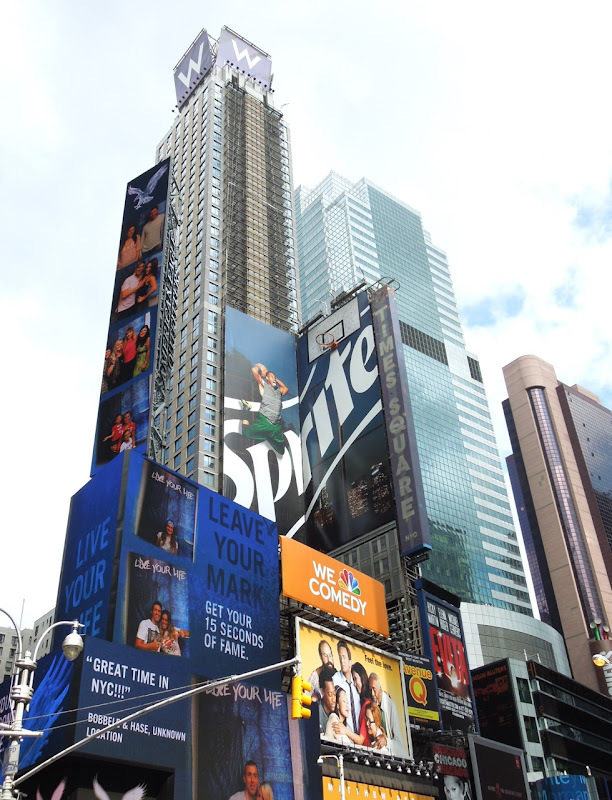 This engaging Sprite billboard installation looks super-cool and was spied on August 27, 2012. 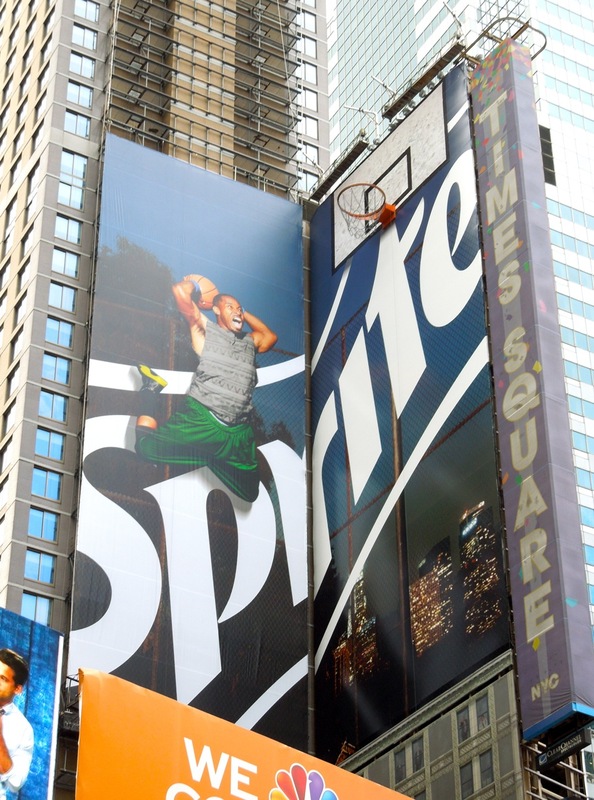 Now that's what you call a slam dunk. 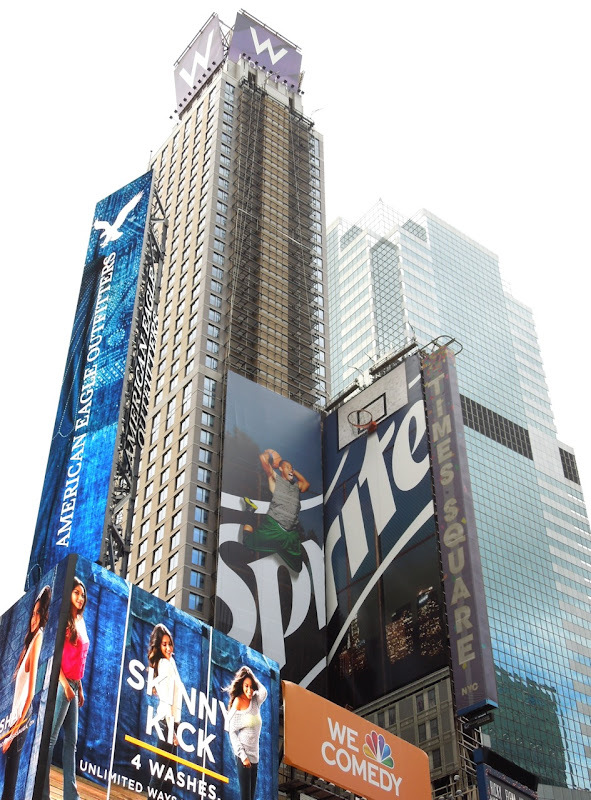 And if you like this giant sporty creative, be sure to also check out GNC's women's soccer billboard installation near Times Square. 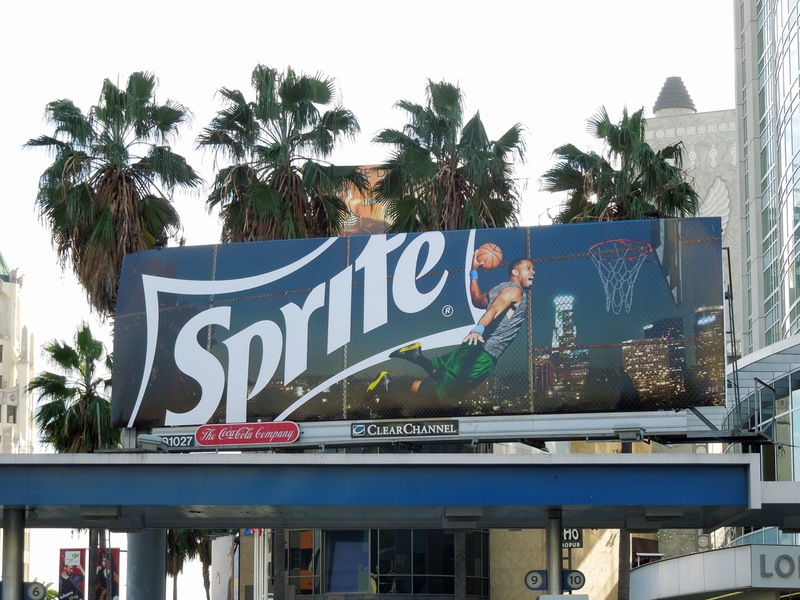 UPDATED: Here's another variation on the basketball creative snapped on the corner of Highland and Franklin Avenues in L.A. on November 14, 2012. 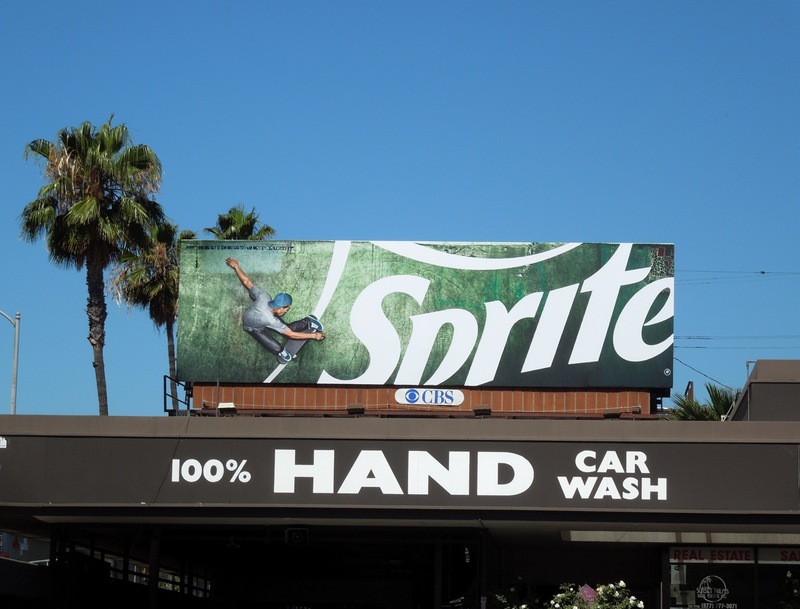 You have to agree that these ads certainly have a sense of spirited energy about them.